Peter Redsell is 19 years old and an example of someone who was desperately keen to secure full-time employment. Having worked on a casual basis in the construction industry as a labourer, Peter gained some experience working with window and door installers, yet found he was unable to secure a permanent position or an Apprenticeship. Peter therefore pursued the option of a Traineeship, which were introduced from August 2013 as part of the government initiative for young people aged 16-24 who are not in education, employment or training. Traineeships aim to support young people to develop the skills they need to secure and succeed in employment, which could include access to an apprenticeship. Peter commenced his Traineeship at IPS International in Rochester, learning Employability Skills, on 29th October 2013. 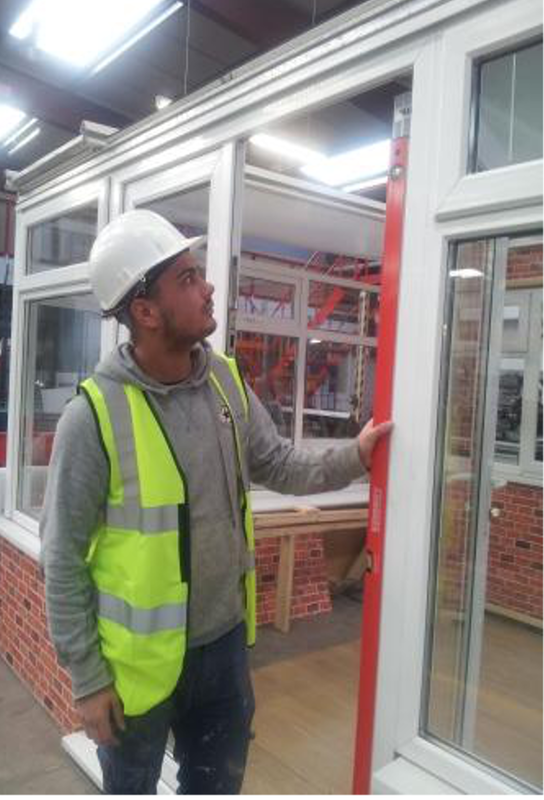 Having applied himself well on the programme, Peter’s ideal was to obtain a Traineeship work-placement within the fenestration industry and IPS International were able to secure Peter onto a work-placement on 11th November 2013 with an existing client, Windows For Construction based in Strood, Kent. During his time on the Traineeship, Peter has worked hard and has successfully obtained his Level 1 Certificate in Employability Skills and on 6th January 2014 was offered a full-time Apprenticeship position with Windows For Construction. Peter is currently undertaking his Intermediate Apprenticeship in Fenestration Installation. A truly successful outcome for a young man who has turned his career opportunities around in just a few weeks.